The Walker Desk is a feat of advanced engineering thanks to its innovative cantilever design. 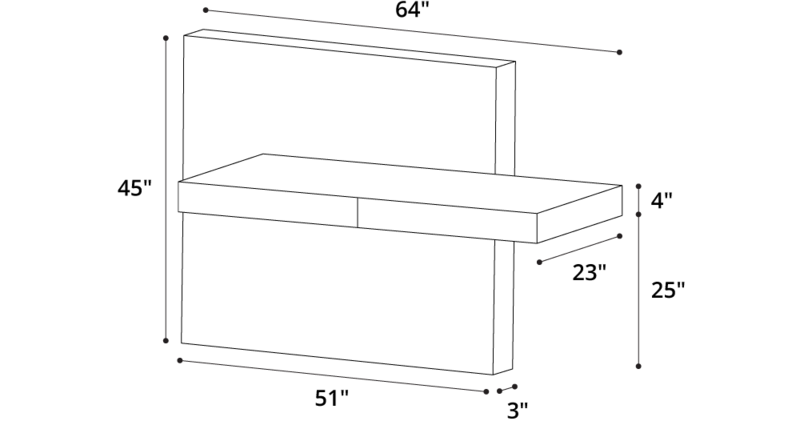 The wall-mounted desk appears to float outward into the room against an expansive backdrop panel. Two pull out drawers provide sufficient storage space for office supplies. Ball-bearing glides enable effortless drawer movement. Special wall mounting brackets included.